The Yankees have reached a crucial point in their 2017 voyage through Major League Baseball. The Yankees are currently in the Boston and will take part in a very important series against the Red Sox this weekend. 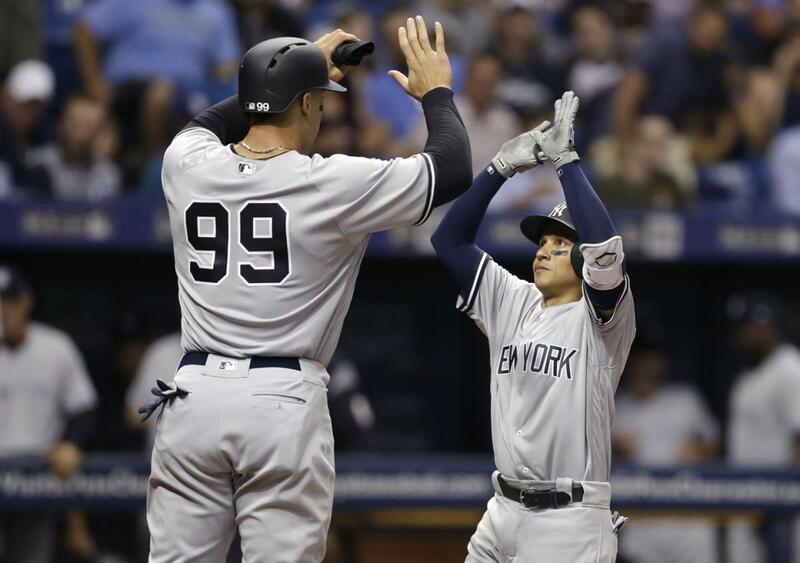 The Yankees’ season is going down the drain and if they do not right the ship this weekend, then the chances of the Yankees winning the division are all but over. The whole team needs to step up this weekend and prove to the critics, that they are in fact contenders and not pretenders. As I am writing this blog, the Yankees have yet to name their starting rotation for this weekend, which is a little surprising. I would have to guess that either Tanaka or Sabathia will start tonight’s game against Drew Pomeranz. The rotation has struggled the last few weeks, but need to get their things together for this weekend. If the rotation puts out the best it can produce, then the Yankees will walk from Boston, doing much better than they are doing right now. Dellin Betances made an appearance at the All Star game this week and he really struggled to get through his one inning. He walked a couple of batters before striking out key hitters and ending up with two strikeouts and a scoreless inning. The bullpen has been a big part of the current woes, if they had done their job, then the Yankees would still be in first place. Hopefully, this week provided the rest that they needed in order to get things correct for them. The offense has been very inconsistent throughout the last few weeks and runs have come in bunches for the Bombers. Every few games it looks like the offense is back to normal, but the next day they return back to normal. The rotation is also inconsistent, but the offense needs to put up consistent outputs to offset the rotation. This road trip is very important for the Yankees, they play teams that they are contenders just like the Yankees. If the Yankees dominate this road trip, which I do think they will, then I might consider them declaring them undead.